Beginning tomorrow, May 23, elementary and middle schools across the state of New York will begin to administer Pearson’s stand-alone field tests in English-language arts (ELA) and math. Science field tests in grades 4 and 8 are also being given. Today, the New York Post published this article about the upcoming field tests. According to its author, Susan Edelman, the NYC Department of Education said it would inform NYC parents of the administration of stand-alone field tests. So far this hasn’t happened and the vast majority of NYC parents are unaware that this extra testing is going on in our public schools. Teachers, too, are in the dark. Edelman quoted Fred Smith, a fellow Change the Stakes member, who pointed out that these stand-alone field tests are given in addition to the trial items embedded in the April 2016 ELA and math tests that were just administered to students in grades 3-8. As I’ve done in past years, I compel you to find out if your school was one of 2,300 chosen by the New York State Education Department (NYSED) to administer stand-alone field tests in the coming weeks. Go to http://www.p12.nysed.gov/assessment/fieldtest/2016fteirev2.xls for a list of all NYS elementary and middle schools signed up to field test. Click here for a list of NYC schools by district. 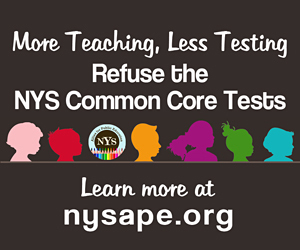 If so, urge your principal to refuse to give these tests and/or submit an opt-out letter to spare your child from being used as a guinea pig by for-profit testing companies and the NYSED. For more information, please read the following. Testing companies often pay subjects to get feedback on experimental test questions. The information they get is used to produce and sell future exams. 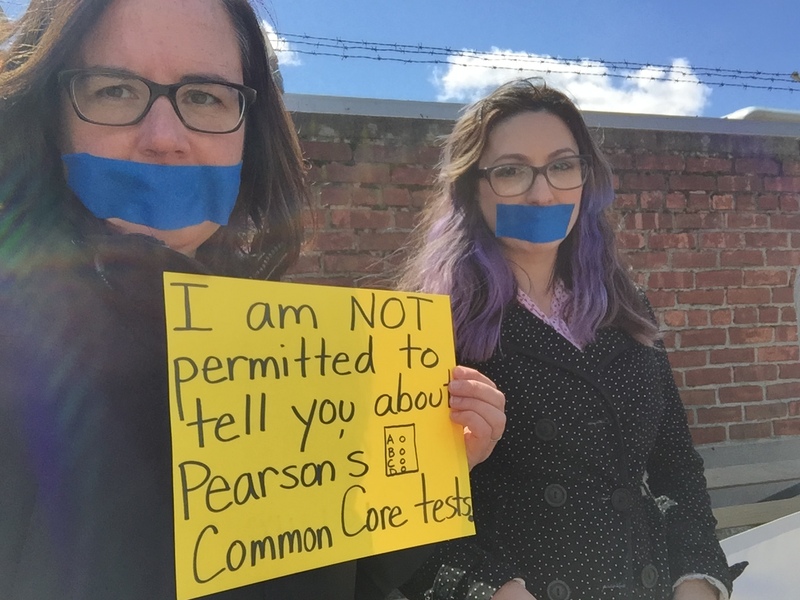 Since 2012, NYSED has allowed the testing company Pearson to use NYS children FREE OF CHARGE to try out test questions for the following April’s statewide exams. In fact, your taxpayer money covers the cost of administering these tests. Field tests for grades 3-8 will take up to 50 minutes to administer. For your information, field test questions were also embedded in the April grade 3-8 ELA, math and science state assessments. This, of course, increased the length of the ELA, math and science exams. Are parents informed about field tests – what they are and when they are administered? In most cases, no. Many districts administer field tests to students without informing parents. You can call or email your school to find out when the tests are being administered this year. Field test results have no bearing on your child’s report card grades, teacher evaluations, or school rankings. The testing company and NYSED provide no feedback or information of any educational value to districts. Refusing these tests is a must. Can we refuse field tests? How? Of course. If you did not already check off field tests in your state test refusal letter simply send in a letter stating you do not want your child taking ANY field tests. Instruct your child not to take the test if anyone in their schools attempts to administer them. How are schools selected for field tests? Each year NYSED generates a list of districts, schools and specific grades within them that are assigned to administer field tests. Field tests are then shipped to them. This year, districts were asked to participate in computer-based field testing. If your school is on the computer-based field test list, it is because your child’s services have been volunteered for this latest giveaway. Are districts mandated to administer field tests? No. Every year dozens of districts send back field tests unopened to protect their students from the excessive and unnecessary additional testing. 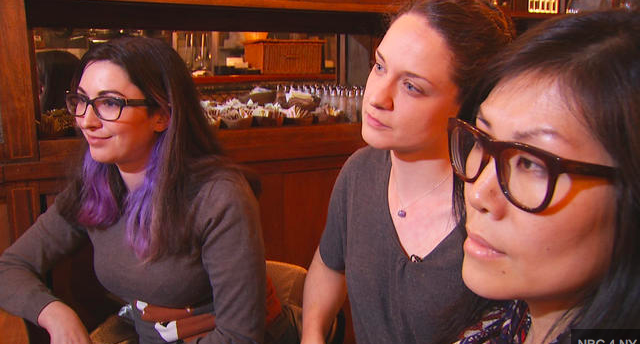 Last year the Board of Regents sought a regulation that would make field testing MANDATORY. The proposed regulation never came to a vote because sharp public resistance rose against it. It has not come up again. Please send in your refusal letter for this year’s field tests TODAY and request that your district join the growing list of districts refusing to administer these meaningless assessments. Thank you for your continued advocacy to save public schools and ensure all children receive a quality public education.